Taseko Mines has entered into a friendly agreement to acquire Curis Resources, whose principal asset is the Florence in situ copper recovery and solvent extraction/electrowinning (SX/EW) project in central Arizona. The Florence deposit contains approximately 2.4 billion lb of copper reserves at an average grade of 0.36% total copper. A March 2013 pre-feasibility study outlines average annual production of approximately 75 million lb of copper at average cash operating cost of $1.11/lb and an initial capital requirement of approximately $210 million. 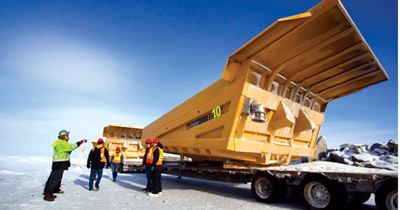 The all-share Taseko-Curis transaction values Curis at about C$80 million. Taseko currently owns approximately 17.3% of Curis’ outstanding common shares. Following completion of the transaction, Curis shareholders, excluding Taseko, will hold 12% of the combined company. Assuming receipt of necessary approvals, the companies expected the transaction to close in October. The Florence project has gone through a number of ownership changes since first being discovered in the 1960s. Conoco completed significant drilling and metallurgical test work during the 1970s. Magma Copper acquired the property in 1992 and completed a prefeasibility study in 1995. BHP acquired Magma in 1996 and advanced the project to the fully permitted stage for in-situ copper recovery production. In 1998, BHP initiated, but did not complete, a multimonth, field-optimization in-situ recovery test to gather copper-extraction and other technical data. Curis acquired the Florence project, including project permits, in February 2010. The project had obtained all major environmental permits under BHP in the late 1990s, and Curis has been in the process of amending and updating these permits for a Phase 1 in-situ production test facility. The facility would include a 24-well in-situ recovery well field and a solvent extraction/electrowinning plant that would produce copper cathode. Concurrently, Curis has been advancing engineering, testwork, environmental studies, and permitting for Phase 2 commercial operations.